I’m excited to reveal the gorgeous cover and title of my next book! 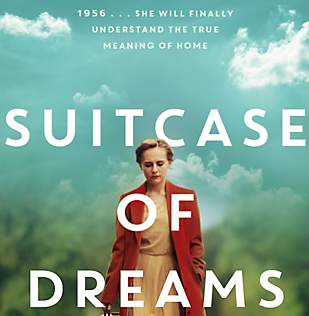 Suitcase of Dreams tells the story of Lotte and her family’s immigration and new life in Australia after leaving post-war Germany in the 1950s. 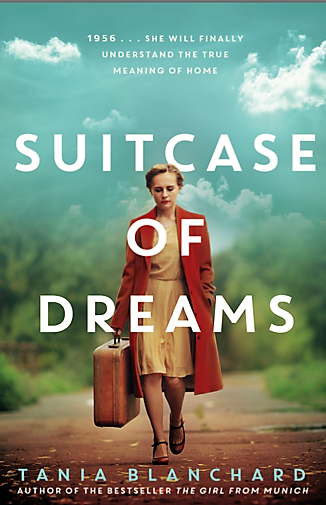 Suitcase of Dreams will be released in November 2018. Here’s a little blurb to tantalise for now… but there will be more coming about the writing of this story and the fascinating things I learnt along the way! After years of struggling to find their feet as ‘New Australians’, Erich turns his skill as a wood carver into a successful business and Lotte makes a career out of her lifelong passion, photography. The sacrifices they have made finally seem worth it until Erich’s role in the trade union movement threatens to have him branded a communist and endanger their family. As the shadow of the Vietnam War looms, the unexpected arrival of someone from Lotte’s past forces her to a turning point. Her decision will change her life forever – and she will finally understand the true meaning of home. Just finished reading this book and LOVED it!!! Hi Christine, Thanks for your comment. I’m really glad that you’re enjoying Suitcase of Dreams. Audio’s a great way to enjoy the story especially when there’s no time to pick up a book! I have just finished reading “The girl from Munich”. It was suggested that I read it as I am currently writing my mother’s story. She was a proxy post war bride to Australia. I enjoyed the read and it was intriguing seeing the effects of the war from the other side. Coincidentally I too am a physio!